Q: Tess, you’re the youngest person on the team at age 15. Should we avoid driving around you when you get a license, or are your driving skills as good as your skiing skills? A: I'm actually not too bad of a driver! I learned from my older sister's mistakes and my parents are cautiously teaching me how to drive the safest way. Q: You’re also still in high school. How do you balance being a high school student and being competitive in the highest level of your sport? 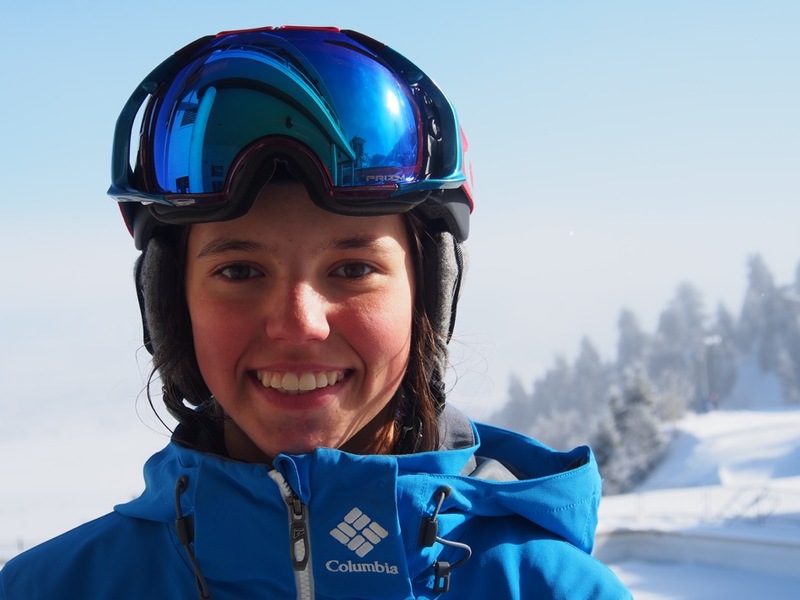 A: I go to Vail Ski and Snowboard Academy where the staff is very supportive in my skiing aspirations. I do a lot of my school online but when I'm home I attend school. At times it gets overwhelming balancing school and skiing but I have figured out a pretty good system to maintain straight A's. A: If I were fully funded, pursuing my athletic dreams would be much easier! I would be able to attend more training camps during the off season to further improve my aerial and mogul technique. Also, I am a family of 5 with two other siblings wanting to attend college, so being fully funded would make money situation at home less complicated.